So, sometime about three weeks back I became a boardgamer. It started slowly, popping into Games of Berkeley when I was in the area, getting a Risk variant at Toys ’R’ Us, then… wham! 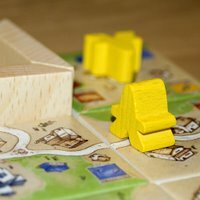 A thread about 2 player board games on Metafilter led me to BoardGameGeek.com, and then it was all over. “The Geek” is a comprehensive database of board games, complete with ratings, reviews, and forums as one might expect. Its coolest feature is GeekLists. Users can create lists of games, adding commentary, and others can add to the list or just comment on the individual entries. Some of my favorites: Couples Games, The Most Overproduced Games Ever, My Carcassonne Research, and All the Flavor, Half the Calories. Wicked addictive. Wanna see my profile? As I recently wrote, there’s a game store down the street, though for true selection I go to Games of Berkeley. There are various online sites (Fun Again seems good, and sometimes necessary) but because of the shipping, it’s usually worth it to buy at a store unless you need to hit up Ebay for something out of print. Great two-player card game that’s quick-moving and has good opportunities for tempting fate, but also only requires half a brain. Good for playing during a conversation or when watching quality television programming. This game is beautifully presented, with a nice wooden box, pretty art, and four colors of happy meeples. It sounds more complicated than it is (as we discovered teaching it to two different groups of people), but is well worth learning and playing. Cait’s gotten quite good at trying to steal my residential areas, which are often worth mega points. The City is a stand-alone game, but the original Carcassonne has a ton of expansions that I’m thinking of trying out to add some different flavors to the mix. (There are also other siblings: the two player Knizia designed The Castle (which The City borrows from), the prehistoric Hunters and Gatherers, and the latest (and U.S. exclusive to Fun Again), The Discovery. A slightly more involved game. I like that it has a fair amount going on and has the potential for multiple strategies. (“Do I build up my production to get cards, or can I get by without and build more monuments instead?”) It’s the card game cousin of the well-regarded Puerto Rico, which I haven’t played yet. Might give that a shot, too. The original eurogame gateway game. We don’t actually own this, but play it with our friends Ian and Tiara. It’s good times, though I’m quite bad. Also, it proves the phrase that “randomness is lumpy.” Frickin’ 9 never came up! Looking for the card game version (which I think is being re-released) since it plays with two. Haven’t actually played this yet, but it’s themed as the prequel to Clue. I.e. : people running around a mansion trying to kill someone. From the manifesto’d Cheapass Games. I’m planning on using my Pixar Monopoly pieces with this one, so it might end up being Kill Doctor Sulley. So, wanna play a game? I’m all about it. I found a friendly local game store (FLGS) from the California store list for Mayfair Games (U.S. publisher of Settlers of Catan, among other fine games). It’s called Paradox Playground and it’s just down the street. 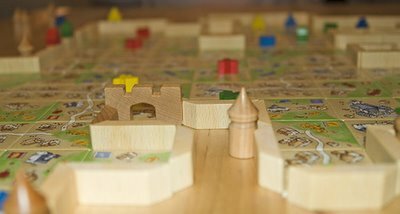 Though the boardgame selection is rather limited, it is the source of my copy of Carcassonne: The City (pictured above), for which it deserves major super mega props. There’s much more there if you’re into wargaming and minature painting and the like. And, they have a Yahoo Group. For a really good selection, I recommend Games of Berkeley. It’s packed with great stuff, and it’s just two stores down from Jupiter. Bit of a distance from San Jose, but that just gives me an excuse to visit Dave. I’m also loving Greasemonkey for doing rapid prototyping of new UI and features. It would be neat to come up with guidelines that web applications could follow to make them more monkeyable. 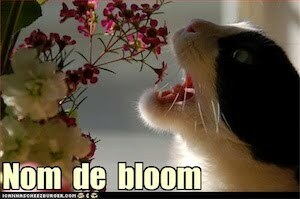 For example, more ids or semantic class names. Dive Into Greasemonkey is the best resource for getting started, and Mark Pilgrim’s later article for O’Reilly explains how to work with the native object wrappers added to Greasemonkey for security. I haven’t read the Greasemonkey Hacks book, but I may toss it in to my next Amazon order. Yay! Chat in Gmail is being rolled out to the peoples. I’ve been using this a lot internally, and it’s great that it’s public now. Google doesn’t have too much of an IM culture, at least in engineering, so putting chat in our e-mail windows has been a really nice way to bootstrap realtime communications. And, search over e-mail and chat logs is integrated. Very handy. I don’t use Gmail outside of work, so I won’t get much use out of the public release. I can bet, though, that when the Google Talk–AIM bridge is done this will be huge. I adapted a technique from the latest issue of A List Apart: the Holy Grail of three-column CSS layouts. The idea is to do a three-column layout with two fixed with columns on the outside and a variable-width column in the middle taking up the rest of the horizontal space, all without unnecessary, non-semantic markup and keeping the center column first in the markup. I implemented it on this blog, with the tweak that I wanted my right column to be variable width, too. This is straightforward to do, by setting the center column to less than 100% of the width, and then setting the right column’s width to the remainder. Since the right column is now floating left as normal, it no longer needs its margin adjusted. Finally, the left column’s margin left is set to the same width as the center column. Still haven’t sorted things out on IE. I have my ThinkPad home from work, so maybe this weekend I’ll get a chance to poke it into a semblance of presentability.